As a long time enthusiast for Scandinavian composers I was surprised to discover that Fartein Valen's music was completely absent from my collection. 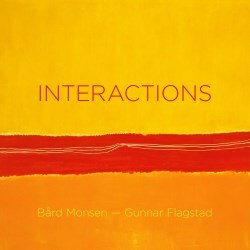 As a close contemporary of Harald Sæverud, and as a composer with a fairly large discography, this absence proves yet again that there is always something to discover in 'classical' music. On first hearing this Violin Sonata seemed to have a rather Brahmsian feel, whilst being a little more advanced harmonically. It took three auditions and a bit of reading around to get closer to it. Valen has a disconcerting habit of sounding as if a search is in progress for where to go next with his melodic line. Learning from my research that he was viewed as a modernist, and indeed condemned for this, forced a new focus. I think the closest well known composer may be early Schoenberg: indeed I note some writers have detected links between Valen's Violin Concerto and that of Berg. I feel he is more academically inclined than either. The present soloists think this Sonate is a great 20th century violin piece, which is quite a claim, even allowing for some patriotic bias. This is not the only recording available, but I am quite certain none of the others is remotely so well recorded nor better played. The remainder of the programme is at least familiar. I reviewed another SACD of the Stravinsky from Ilya Gringolts and Peter Laul only a few months ago and whilst the present disc is more spaciously recorded than their, still superb, BIS issue, I found Monsen and Flagstad to have less drive and vitality, making the Duo Concertante more austere than it needs to be. Also the violin part as played by Gringolts stands out from the texture more clearly. On this 2L disc the generous acoustic, a specialism of these engineers, allows the piano to resonate more and thus veil the violin sound a little too much. Stravinsky was also a close contemporary of Valen and listening to Stravinsky's piece shows just how different these two composers can be, whilst both are described as 'modernist'. Stravinsky was unarguably a great composer and even this comparatively slight work shines with his imaginative ideas. It is a splendid piece. The Lutosławski Partita was written for Anne-Sophie Mutter, first as a duo, as performed here by Monsen and Flagstad, and subsequently reworked as a concertante piece for violin, piano and orchestra. Personally I prefer the orchestral version, because that provides so much more colour, and in the fairly recent Chandos SACD from Tasmin Little the effect is very beguiling. The Norwegian duo makes a fine job of the original and need not fear competition. As mentioned above, in recording terms they are hard to match. A word on the audio aspects of 2L's release. They provide two discs, one a standard Hybrid SACD with stereo and surround and of course a 'Red Book' CD stereo layer. The other disc is Blu-ray and the storage capacity of that format allows them to have multiple versions, both surround and stereo. This is audio-overkill but I suppose those who have Dolby Atmos setups or, even more far-out, Auro-3D 9.1 (!!) may welcome at least something they can demonstrate to their friends. The combination of obscure Norwegian violin sonatas and Auro-3D 9.1 seems a bit farfetched, but the choice is there. I auditioned both the 5.1 DTS HD MA 24/192 and the SACD Surround and both were absolutely superb sound recordings..